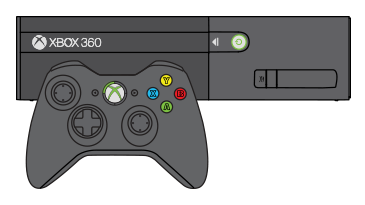 On the 360 E console, a solid green light on the front of the console indicates that the controller is connected. To determine the player position associated with your accessory, look at the ring of light that surrounds the Guide button on the controller. To connect additional controllers, follow these same steps again. You can connect up to four controllers to the console. Each connected controller is assigned a position that corresponds with the lighted sections that appear around the console’s power button and around the Guide button located in the middle of each controller. 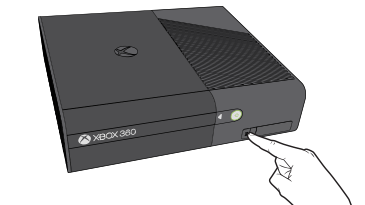 Plug the Xbox 360 Wired Controller into a USB port on the Xbox 360 console. To disconnect the controller, pull on the connector, not the cable. If your controller works with the different battery pack, your original battery pack might be defective. If your controller is under warranty, you can order a replacement battery pack from Xbox Support. See the Assistance section at the bottom of this page for more information. If you or a friend has an Xbox 360 Rechargeable Battery Pack, attach that battery pack to your controller and try to use your controller. If your controller works with the rechargeable battery pack attached, you can buy a new battery pack from a retail store or order a replacement battery pack from Xbox Support. See the Assistance section at the bottom of this page for more information. Would you like to contact Support regarding the "Connect a game controller" issue you were reading about or a different issue?